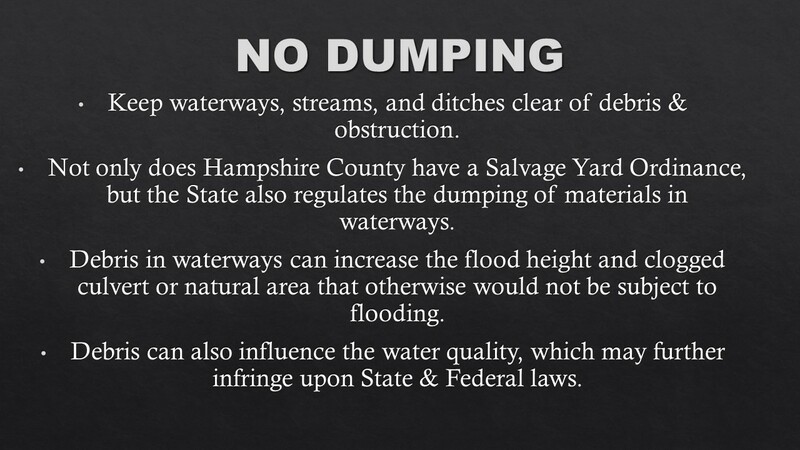 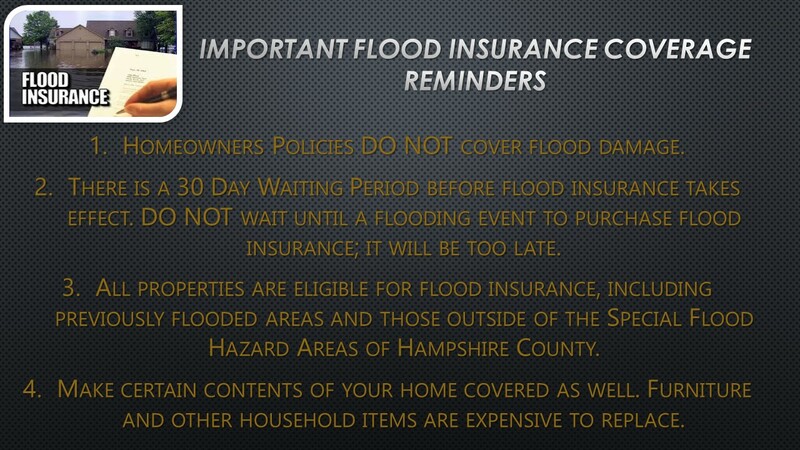 Flood Insurance is available in Hampshire County! 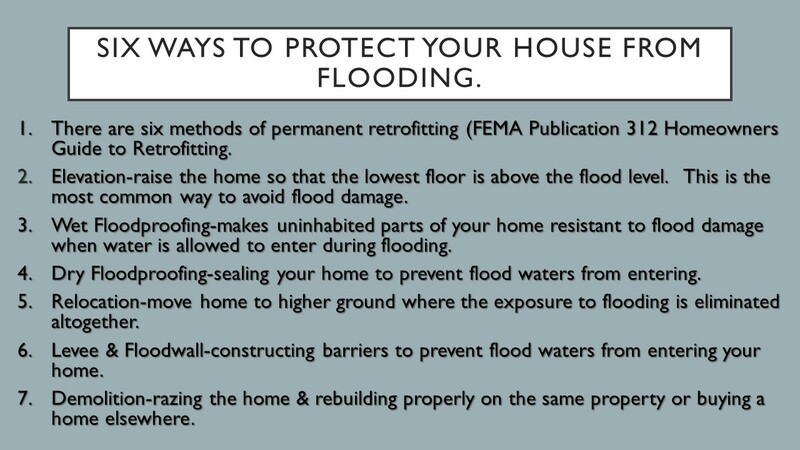 Check with your local Insurance agent or you can contact the National Flood Insurance Program Referral Center at 1-888-379-9531. 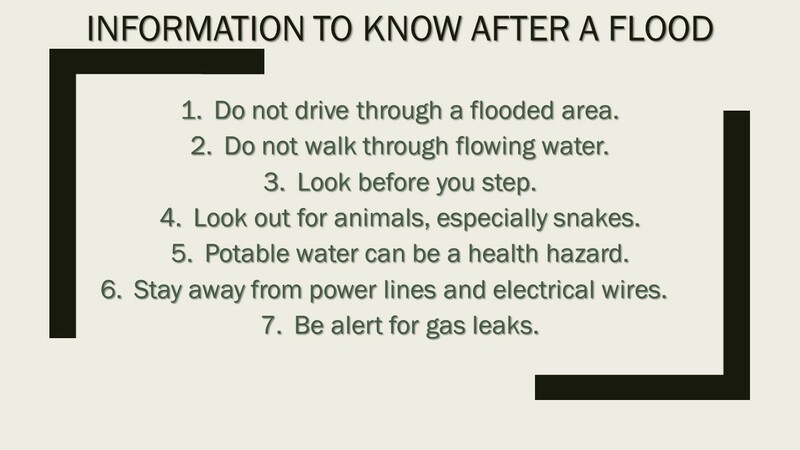 How to Prepare for a flood. 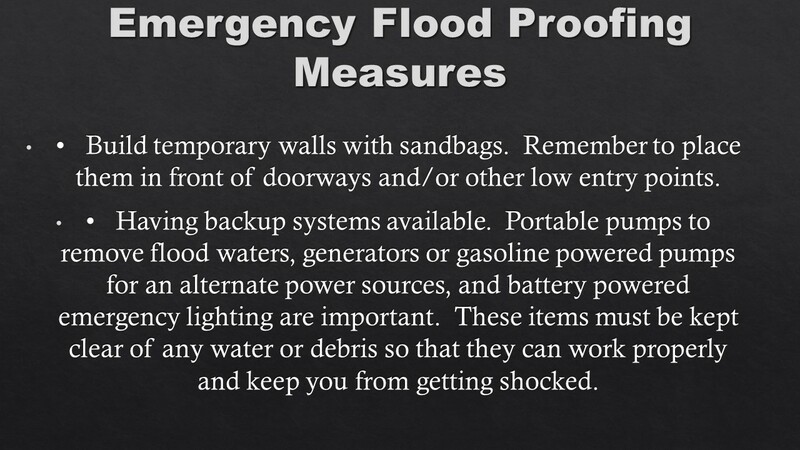 Learn about Emergency Flood Proofing Measures.